All Red Gate Grocer eggs are from hens raised on a hillside next to Owasco Lake in the Finger Lakes region of upstate New York. Every single egg is collected, graded, and packed by Dwight Martin and his family. Red Gate Grocer does not believe “cage-free” is good enough. Cage-free just means the hens aren’t penned into inhumane and impossibly small spaces for their whole lives. Cage-free hens don’t go outside. 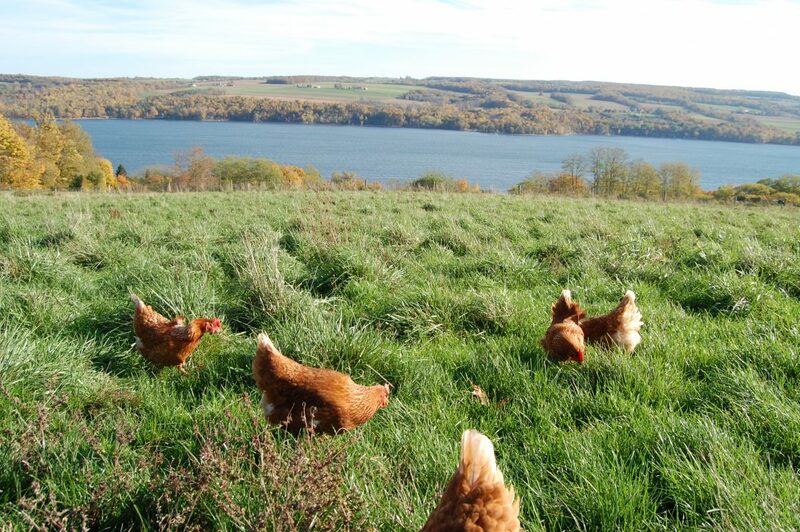 Cage-free hens don’t have pasture access. Cage-free hens cannot wander around in the fresh air and sunshine and peck idly at insects when they please. Red Gate Grocer does not sell cage-free eggs. We only sell free-range eggs. And we want our customers to know the difference. Speak to your sales rep about what price tiers are available. We can offer deals on 5cs, 10cs, and 48cs commitments. Food service flats are great but how soon can I order retail cartons?